Let’s see some raised hands. 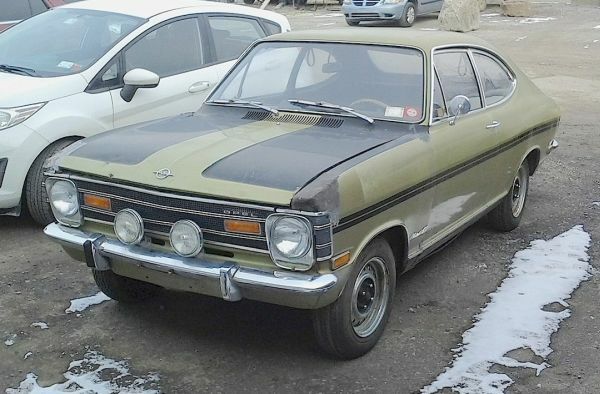 Who out there has seen a 1968 Opel Rallye Kadett in the past three decades or so? I didn’t think so. But here’s one now, sitting in a Youngstown parking lot awaiting a buyer. An actual barn find, the owner tells me it runs good and has all new brakes. Still has the giant factory fog lamps too, and looks very restorable. Jim Corbran, RRofWNY …and check out our Facebook page: Non-American Classic Cars The post RealRides Of WNY appeared first on Buffalo Cars.